With a new Fed Board Chair taking office early next year, there is a little more uncertainty than usual, and we want to be prepared. 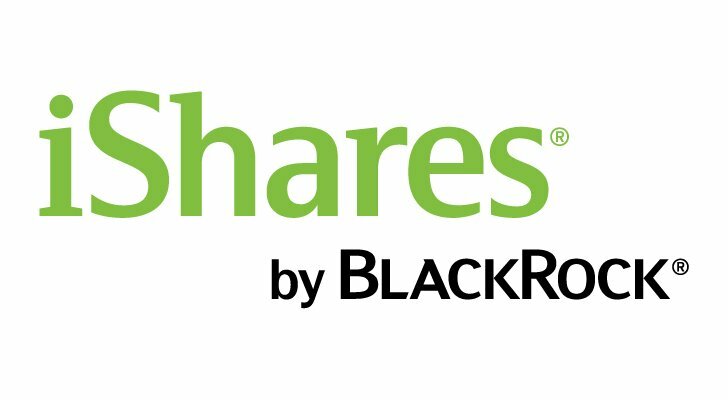 I’ll start with the granddaddy of dividend ETFs, the iShares Select Dividend ETF (NASDAQ:DVY). Dividend investing really came back into style following the bursting of the tech bubble and the 2000-2002 bear market, and the iShares fund was the first ETF to jump on that trend. DVY started trading in late 2003. DVY tracks the Dow Jones U.S. Select Dividend Index, which is composed of 100 of the highest-yielding stocks in the Dow Jones U.S. Index, excluding REITs. In order to make the cut, a stock has to have had dividend growth over the past five years and must have an average dividend coverage ratio of at least 167% over the past five years. The stocks should also have positive earnings over the past 12 months and should have a market cap of at least $1 billion with an average daily trading volume of at least 200,000 shares. The goal is to limit the selection to high-quality companies that are unlikely to slash their dividends any time soon. DVY sports a current dividend yield of 3%. That might not be exceptionally high, but it’s more than 50% higher than the S&P 500 these days. Along the same lines, the Vanguard High Dividend Yield ETF (NYSEARCA:VYM) is a worthy contender among high-yield ETFs. It yields a very respectable 2.9%, and Vanguard being Vanguard, charges virtually nothing in fees. The ETF has an expense ratio of just 0.08%. While there is certainly a little overlap between VYM and the iShares Select Dividend ETF, there are noteworthy differences. 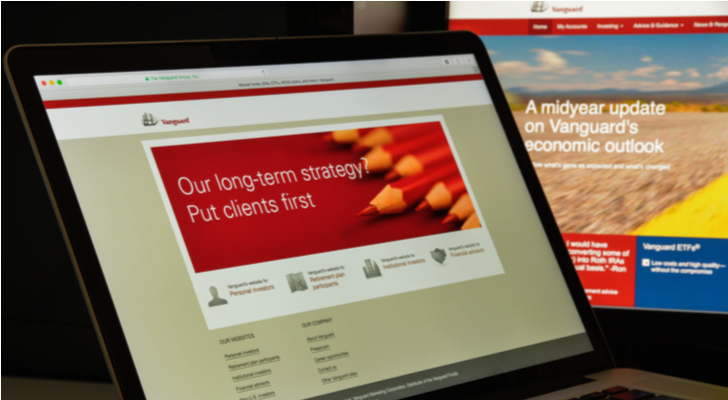 The Vanguard fund tracks the FTSE High Dividend Yield Index, which also excludes REITs. Whereas DVY’s largest allocation is to the utilities sector (30.3% of the portfolio), VYM’s largest allocation is to technology, at 14.3% of the portfolio, with financials, health care and consumer goods close behind at just shy of 14% each. VYM also spreads its bets a lot wider, holding over 400 stocks vs. DVY’s 100. So, while DVY slightly outpaces VYM in terms of raw dividend yield, VYM offers better diversification across sectors. Interestingly, VYM’s largest holding is Microsoft Corporation (NASDAQ:MSFT), not a company you might normally consider a “dividend stock.” But you’ll see plenty of other dividend standard-bearers in the top five, including Johnson & Johnson (NYSE:JNJ), ExxonMobil Corporation (NYSE:XOM), JPMorgan Chase & Co. (NYSE:JPM) and Wells Fargo & Co (NYSE:WFC). Up next is the Vanguard REIT ETF (NYSEARCA:VNQ), which tracks the MSCI US REIT Index. A lot of mainstream dividend ETFs exclude REITs, as they are viewed as a separate asset class. But if you ask me, an income portfolio that doesn’t include REITs just flat-out isn’t complete. Landlording is a fine business to be in, and taxes are a big part of that. Because buildings throw off large amounts of non-cash expenses like depreciation, a portion of the dividend is often considered a non-taxable return of capital. Furthermore, REITs pay no taxes at the corporate level so long as they distribute at least 90% of their profits as dividends. REITs have had mixed performance over the past several years. Because real estate tends to be highly leveraged, investors have been fretting that hawkishness by the Fed would crimp REIT profits. Furthermore, REITs in the retail sector have gotten slammed by fears that Amazon.com is making traditional brick-and-mortar retail obsolete. These jitters have kept REITs trapped in a two-year trading range, even while the broader stock market has been on fire. If you ask me, REITs look like a steal at current prices. VNQ yields a fat 4.8% in dividends, and its expense ratio is a minuscule 0.12%. I consider VNQ to be one of the very best ETFs for any long-term income portfolio. Given their focus on passive indexing and rock-bottom fees, Vanguard is going to be well represented on any list of best ETFs. So, I’d like to recommend one more solid Vanguard offering in the Vanguard Dividend Appreciation ETF (NYSEARCA:VIG). If you’re looking exclusively for high-yield ETFs, then VIG isn’t for you. Its focus is on dividend growth rather than on high yield, and its current dividend yield is only a modest 2%. But if you already have multiple high-yield ETFs in your portfolio, then a growth-oriented ETF like VIG makes a nice complement. VIG tracks the Nasdaq U.S. Dividend Achievers Select Index, meaning that every stock in the portfolio has raised its regular dividend for a minimum of 10 consecutive years. Stop and think about that for a minute. The 2008 meltdown and aftermath was only nine years ago, so every stock in the portfolio managed to raise its dividend during the worst financial crises since the Great Depression. If that’s not a major quality screen, then frankly, I don’t know what is. Like many of the other “pure” dividend ETFs, VIG excludes REITs. And as a practical matter, it also excludes most financials, at least at the moment, because most banks were forced to slash their dividends during the financial crisis. But overall, VIG gives you broad, diversified exposure to some of the world’s most durable dividend stocks. Let’s change gears for a minute. I’m a big believer in dividends, but not just because of the current income. It’s more philosophical than that. By paying a dividend, management is sending a message that it takes its shareholders seriously. But while I consider the dividend the best way to reward patient shareholders, it’s not the only way. Companies can also opportunistically buy back stock, reducing shares outstanding. And if they are judicious stewards of shareholder capital, they can also use excess cash to pay down debt. 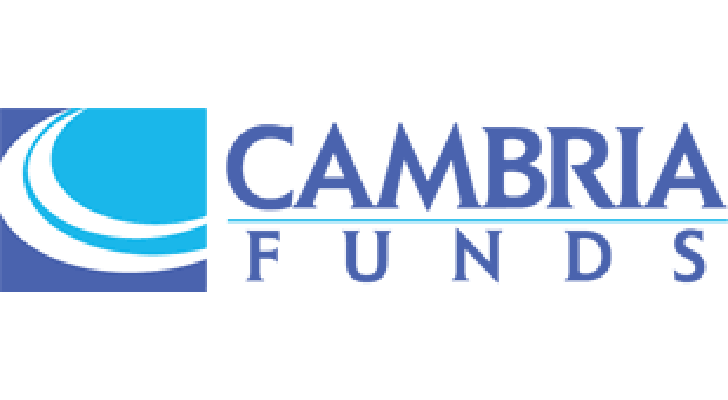 Taken together, dividends, buybacks and debt reductions comprise “shareholder yield.” And this is precisely the focus of the Cambria Shareholder Yield ETF (NYSEARCA:SYLD). SYLD invests in 100 stocks with market caps greater than $200 million that rank among the highest in paying dividends, buying back shares, and paying down debt. It also incorporates a proprietary momentum filter to avoid value traps. Its dividend yield is modest at 1.7%. But again, dividends are only part of the picture. The total shareholder yield of the portfolio will generally be in the mid-single digits. SYLD isn’t a high-yield ETF. But it’s a solid long-term growth holding that should add a little diversification to a high-yield ETF portfolio. Midstream oil and gas master limited partnerships (MLPs) have had a truly rotten couple of years. And in a lot of ways, the sector was a victim of its own success. Investors were desperate for yield in the mid-2000s, just as the onshore fracking boom was really hitting its stride and creating major new demand for pipelines. It was a match made in heaven: Major new demand for energy infrastructure … and a market that was eager to throw capital at anything promising a high and growing stream of cash. MLPs had a quirky business model. Rather than fund their growth via retained earnings as most corporations do, they paid out virtually all of their cash flow from operations as distributions and then routinely went to the stock and bond markets when they needed growth capital. Investors were eager to oblige … right up until they weren’t. In late 2014, MLPs found themselves overleveraged at a time when oil prices were falling and investors were getting skittish. The result was a nasty rout of the sector, and a host of distribution cuts as the humbled MLPs were effectively locked out of the capital markets. Well, today, MLPs are a bargain again and are sporting some of their highest yields in years. 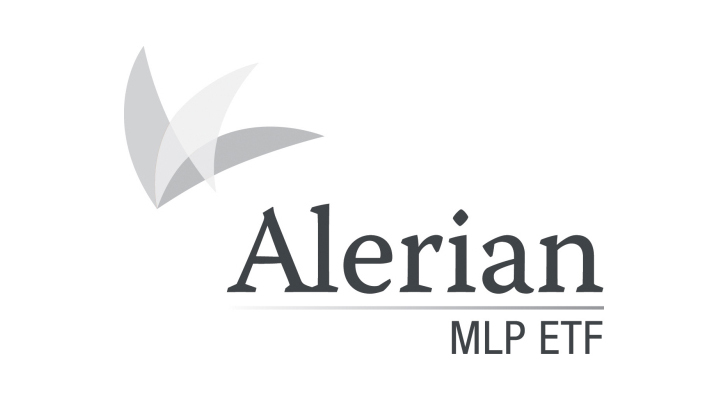 For the more aggressive part of your income portfolio, you might consider the JP Morgan Alerian MLP ETN (NYSEARCA:AMJ). At current prices it yields a massive 7.2%. And while distribution growth might be a little skimpier in the years ahead due to MLPs retaining more cash for investment, it should still be well in excess of the rate of inflation. Up until this point, we’ve been completely focused on U.S.-traded stocks, which makes sense. 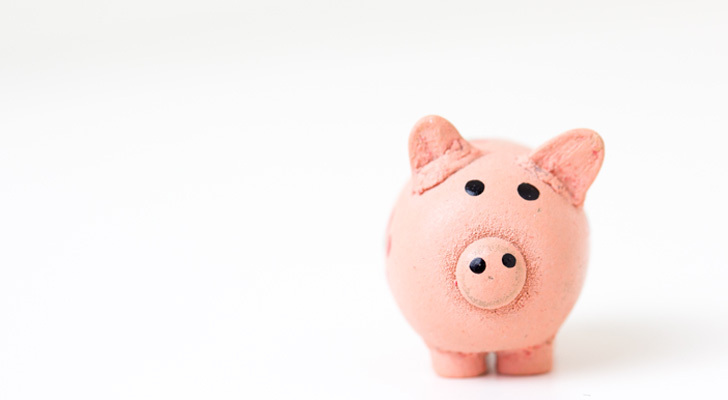 If you’re an American and your expenses are in dollars, it only makes sense that you’d want to have most of your dividend income denominated in dollars. But the investing world stretches far beyond the Land of the Free and Home of the Brave, and some of the best long-term dividend payers are actually overseas. So with that as an introduction, let me introduce the WisdomTree International Equity ETF (NYSEARCA:DWM). DWM invests in dividend-paying countries in the developed world, excluding the United States and Canada. The United Kingdom, Japan and France make up the three largest country allocations at 18.2%, 17.5% and 11.2%, respectively. But the ETF also has significant allocations to Germany, Switzerland, Australia, Hong Kong, Spain, Italy and Sweden. Think of it as something of a one-stop shop for developed-world international stocks. At current prices, DWM yields a respectable 3%. The U.S. market has been the best-performing major world market since the 2009 bear-market bottom by a wide margin. But outperformance like that doesn’t last forever. For most of the 2000’s, international markets massively outperformed the U.S. market. History may or may not repeat itself in the years ahead, but it’s likely enough to warrant keeping at least a little international exposure in your portfolio. I expect foreign developed markets to at least modestly outperform the U.S. market in the years ahead. But if you really want to juice your returns, you might want to consider an emerging markets ETF. And within the world of high-yield ETFs, your best be might be the iShares Emerging Markets Dividend ETF (NYSEARCA:DVYE). Now, I should be clear on one point here. While dividend stocks tend to be more conservative than non-dividend payers, there is nothing conservative about an emerging market ETF. Emerging market stocks — even the dividend payers — are volatile. But remember, volatility cuts both ways, and when emerging markets are hot, the sector can really fly. I believe we are very close to one of those periods today. The combination of a commodities bust, a slowdown in China and a wave of political instability have conspired to depress emerging market stock prices for the past decade. But emerging markets started to turn things around early last year, and I believe this is only the beginning. If past bull markets are any indication, we could be looking at hundreds of percent in gains over the next decade. And in the meantime, we can sit back and get paid to wait for that to happen via DVYE’s attractive 4% dividend. I absolutely love closed-end funds. For the patient investor, they are a dream come true. Not only do you get a high current yield, but you often have the opportunity to buy assets at a discount of 85 cents to 90 cents on the dollar. And because closed-end funds are not subject to shareholder redemptions, they’re better able to hold illiquid assets that would be difficult for traditional mutual funds or ETFs to hold. 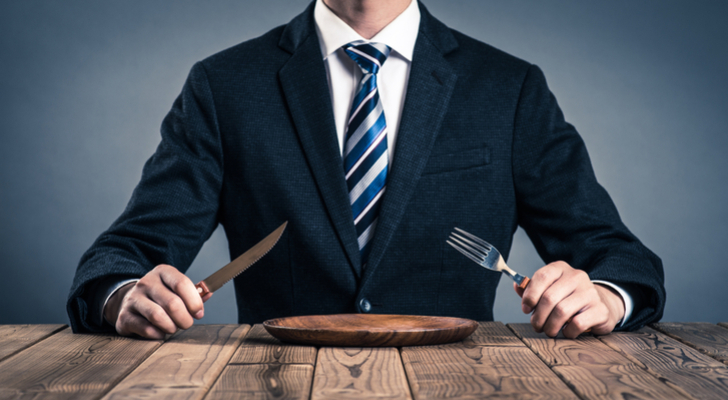 As I see it, the only real problem with closed-end funds is that it can be cumbersome to build out a portfolio of them with sufficient diversification. Well, one solid alternative is the YieldShares High Income ETF (NYSE:YYY). YYY tracks the ISE High Income Index, which measures the performance of the top 30 closed-end funds. At current prices, YYY yields 8.4%, which is a phenomenal yield in this market. Though I should give one fair word of warning. Because closed-end funds use leverage, they can be somewhat volatile. That’s not necessarily a bad thing, as the occasional bout of volatility can create nice opportunities. But it can definitely take the newbie investor in the sector by surprise. There are variations on the old Dogs of the Dow trade, but all follow the same basic idea. You start the year by buying somewhere between four and 10 of the highest-yielding stocks in the Dow Jones Industrial Average, hold for a year, and then rinse and repeat. Though the strategy goes through periods of outperformance and underperformance, it has, on average, beaten the index by a couple percent per year over time. The ALPS Sector Dividend Dogs ETF (NYSE:SDOG) takes a similar approach. But rather than use the Dow, it uses the broader S&P 500, and it diversifies by sector so as to avoid concentration. SDOG tracks the S-Network Sector Dividend Dogs Index, which consists of 50 stocks — five each from the S&P 500’s 10 sectors. The index selects the five highest-yielding stocks from each sector, holds them for a year, and then starts the process again. At current prices, SDOG yields 3.3%, which isn’t too shabby for a fund limited to S&P 500 stocks. As of this writing, Charles Sizemore was long VIG, VNQ, AMJ, DWM and DVYE. Article printed from InvestorPlace Media, https://investorplace.com/2017/12/best-etfs-to-buy-for-yield-starved-investors/.